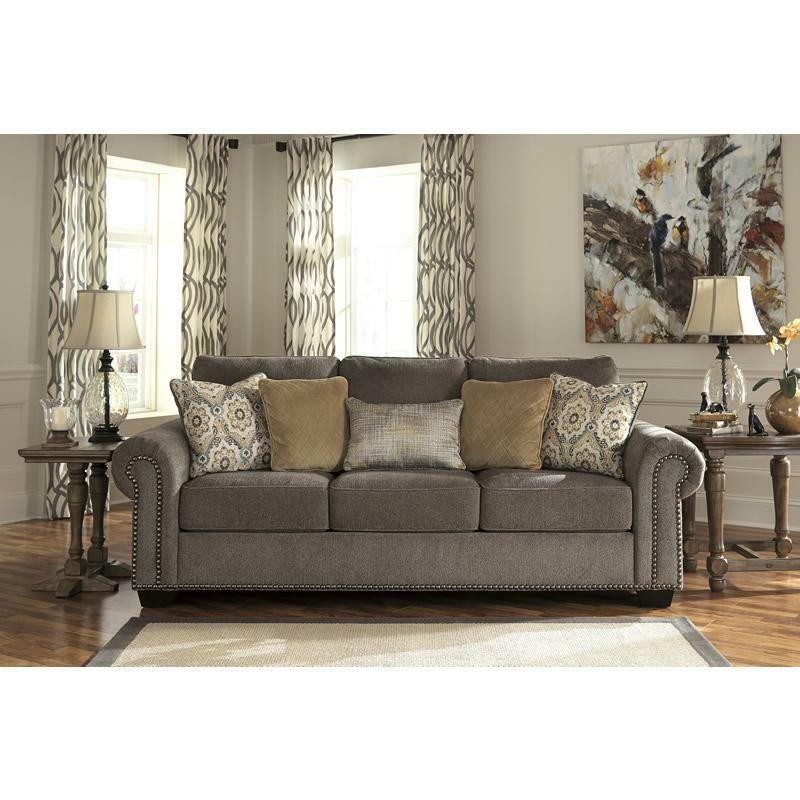 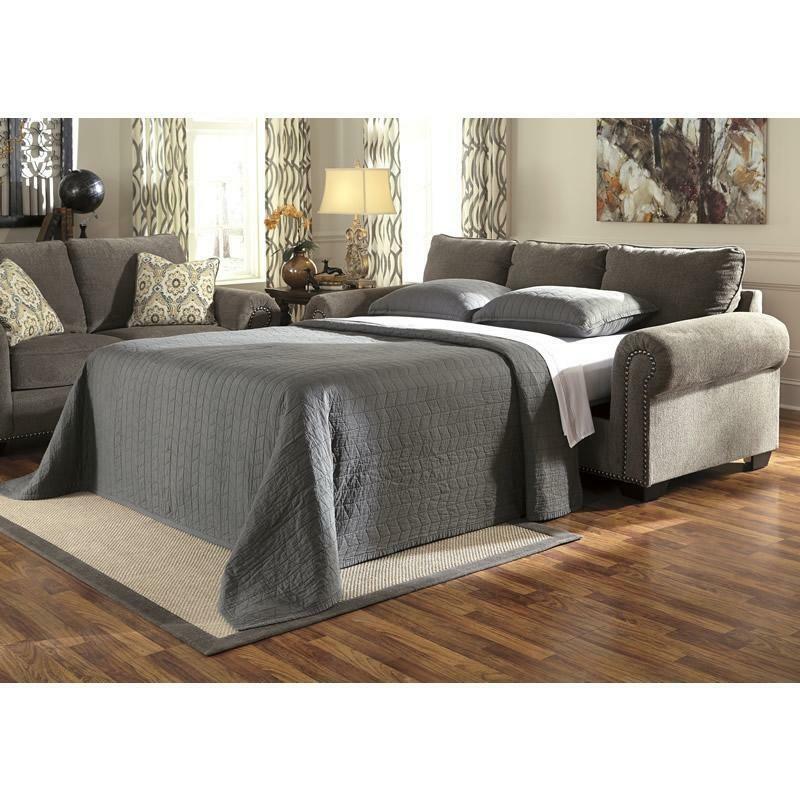 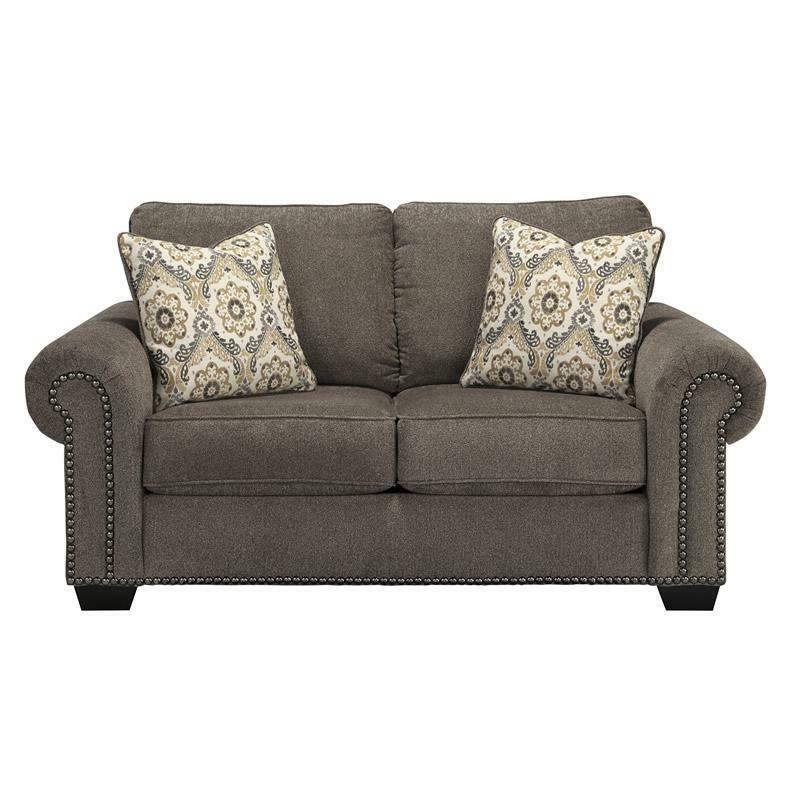 With a plush gray chenille upholstery fabric surrounding the stylish rolled arms and comfortable back and seating cushions, the “Emelen-Alloy” upholstery full sofa sleeper by Ashley Benchcraft features black nickel finished nail head accents to enhance the rich contemporary style of this relaxing piece. 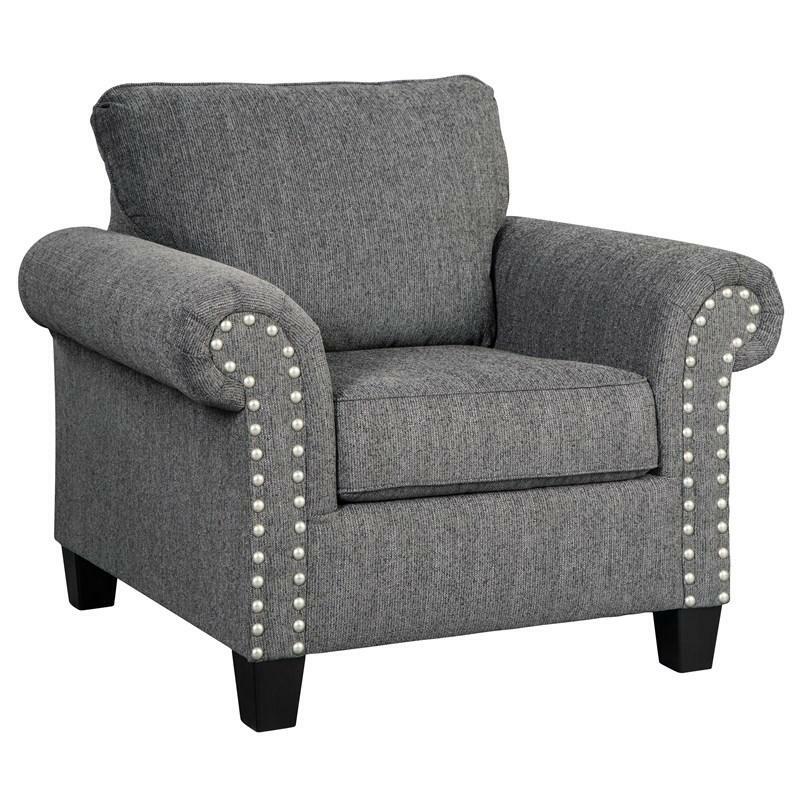 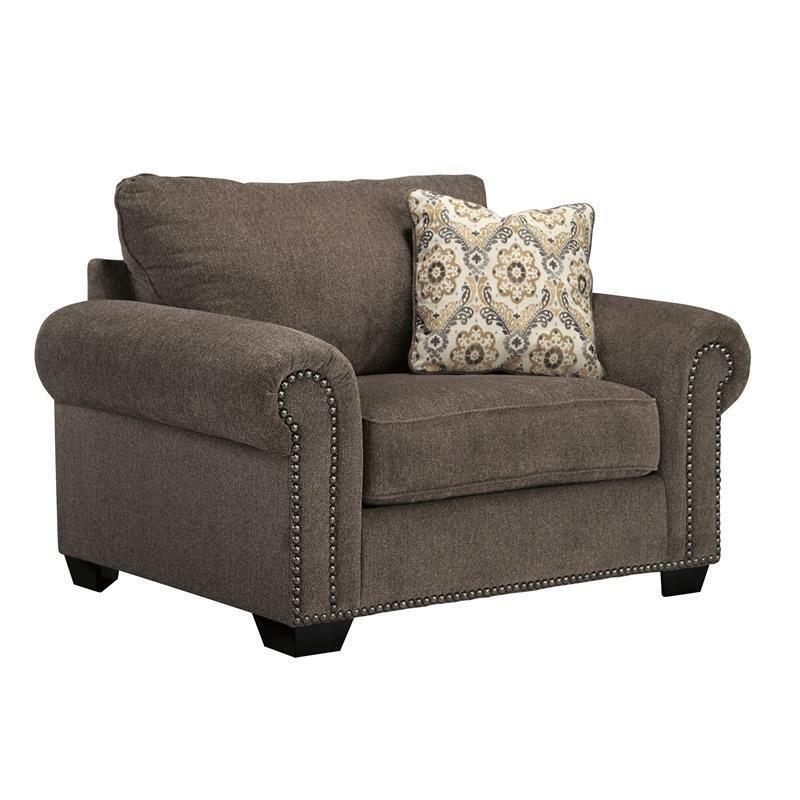 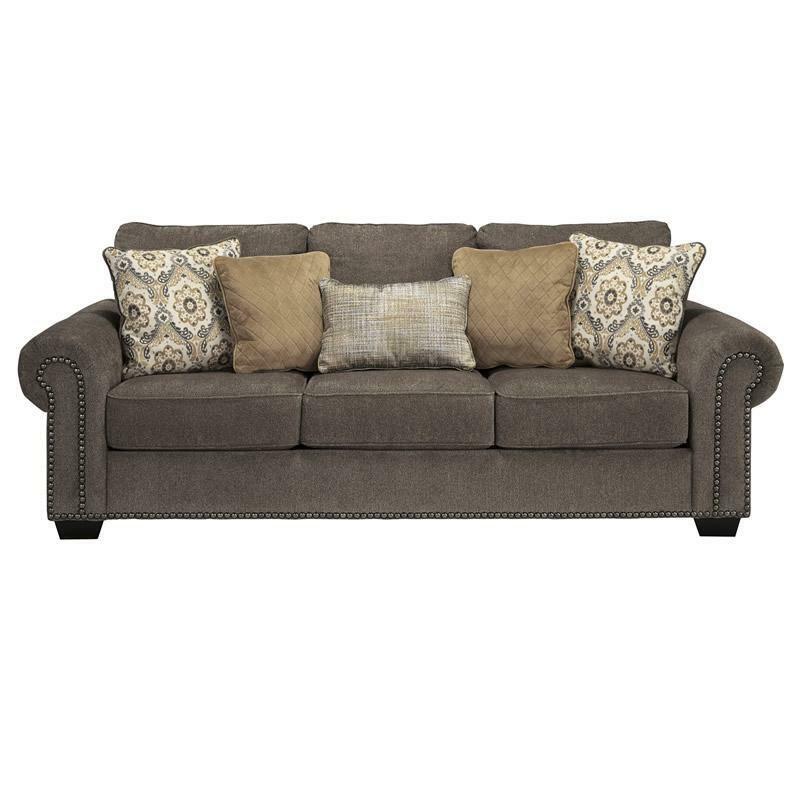 Additional Information Nailhead trim; Distance between arms 71.5"; Arm height 27"; Minimum door size opening 32"
Back Top of cushion to top of back 18.5"
Seat Loose seat cushions; Seat depth 21"; Seat height 20.5"
The Melilla loveseat makes you feel right at home. 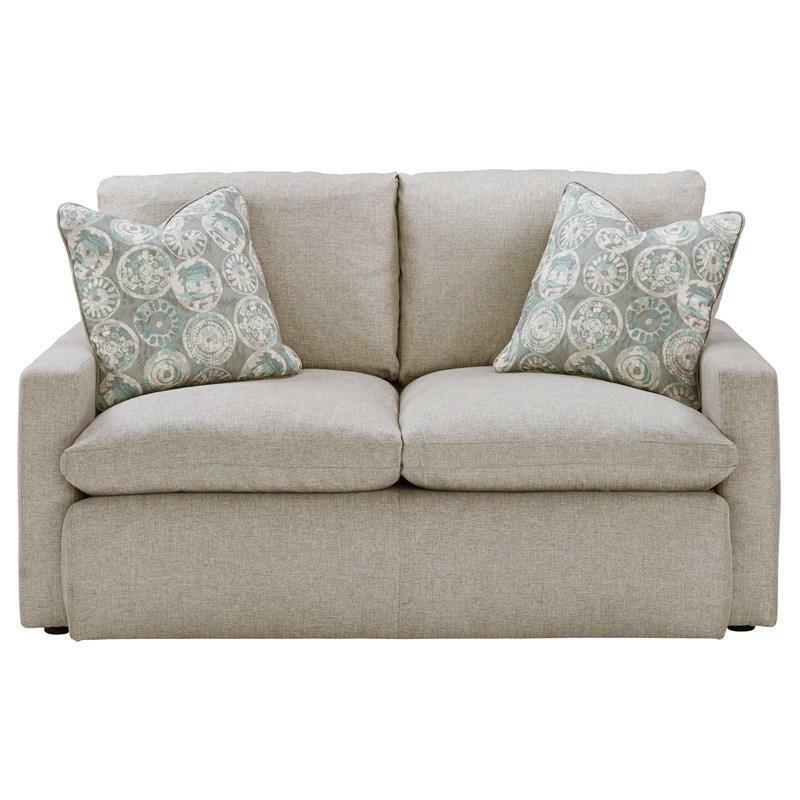 Feather-filled cushion feels like a cloud. 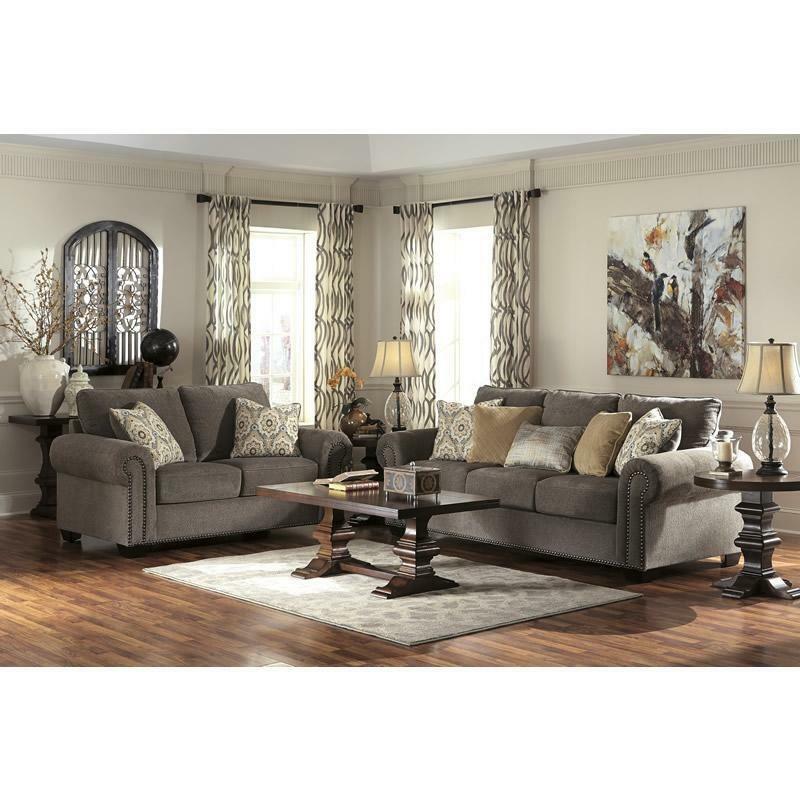 Neutral tone accommodates your existing decor beautifully. 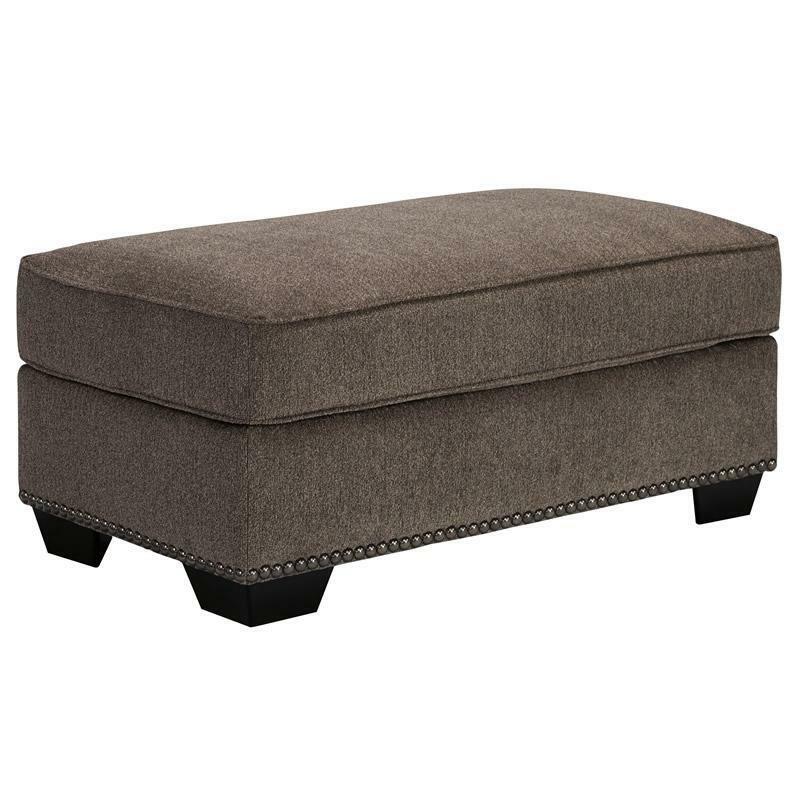 With a plush gray chenille upholstery fabric, the “Emelen-Alloy” upholstery ottoman features black nickel finished nail head accents to enhance the rich contemporary style of this relaxing collection.